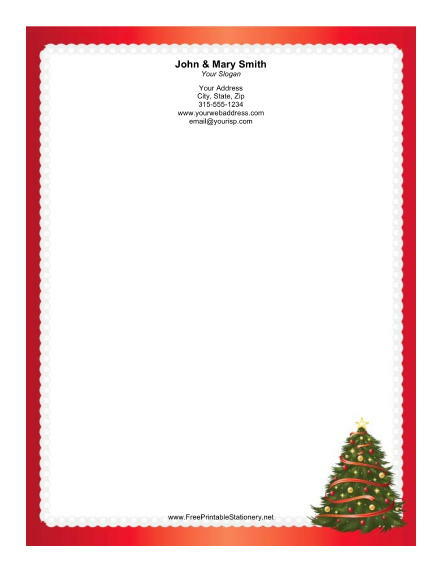 This Christmas stationery design features a Christmas tree with bright decorations. Colorful garlands wrap around the tree and a gold star sits on top. It is surrounded by a scalloped red border, creating a bright holiday frame for all your Christmas letters.